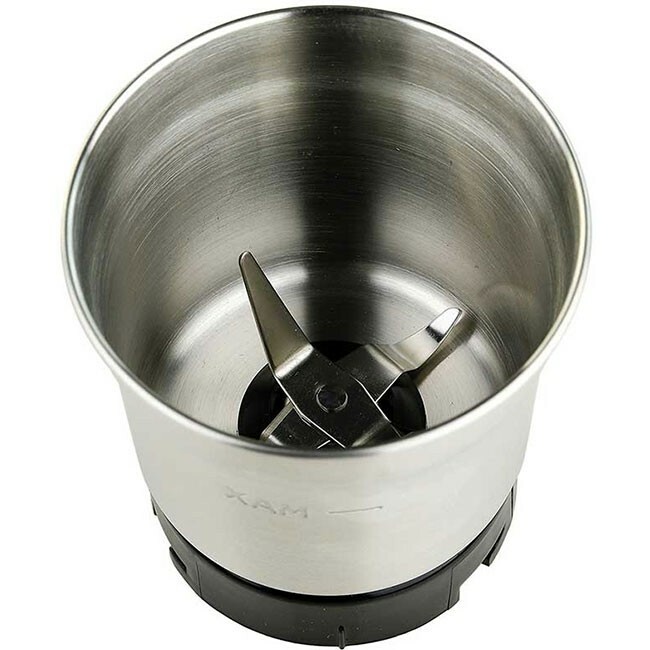 EFFICIENT– With 4 blades, this grinding bowl expertly grinds anything from small coffee beans to large and hard objects like spices, nuts, herbs, and seeds. Its 4 blades allow it to reach and pulverize tougher ingredients than 2-blades can. HELPS KEEP FLAVORS SEPARATE– You can use your 2-blade bowl for your morning cup of joe, and then use the 4-blade grinder for strong spices like peppercorns. That way, the flavor of the peppercorns won’t interfere with your gourmet coffee. EASY TO CLEAN– Simply wipe the bowl and blades with a soft, damp cloth for a quick clean. We do, however, recommend that you deep clean your bowls often (instructions below) so that flavors from old grinds won’t affect your fresh grinds. VERSATILE– Its 4-blades allow you to grind things that are too large, small, or hard for the 2-blade grinder. Try grinding any kind of spice, herb, or seed with this, and you’ll see! 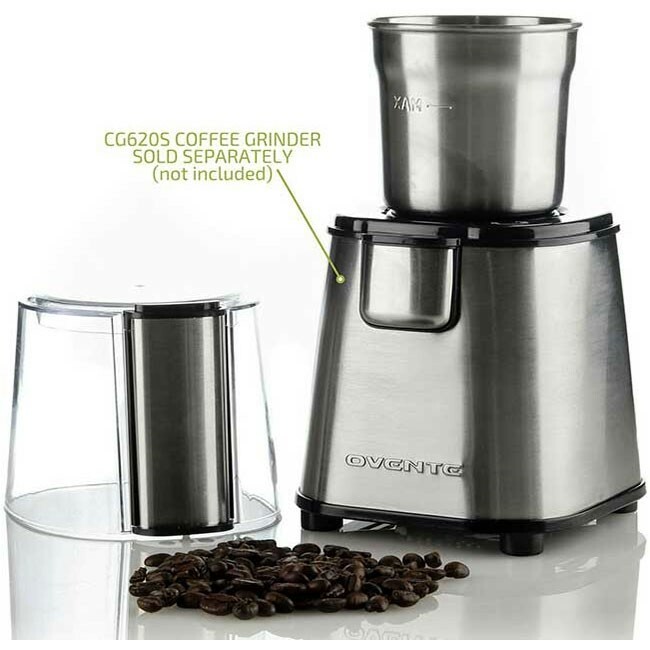 COMPATIBLE– This exclusive 4-blade grinding bowl is only compatible with the Ovente CG620S model Electric Multi-Purpose Coffee Grinder (sold separately). A set with this bowl, the 2-blade grinding bowl, and the coffee grinder is also available (sold separately). 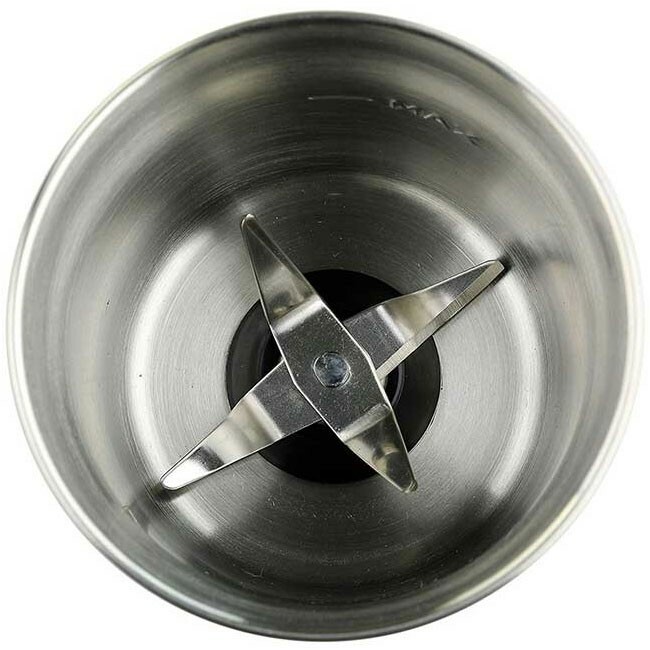 Its 4 high-quality stainless steel blades pave way for a better, smoother, and more efficient grind. 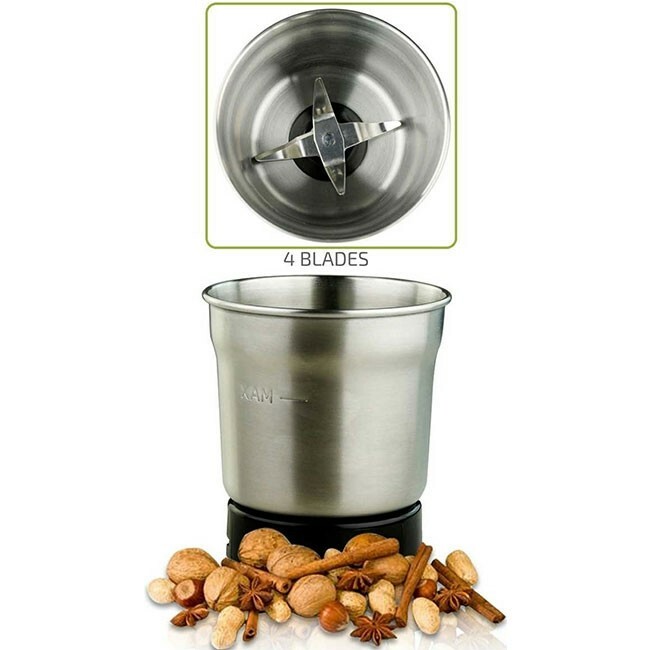 The extra blades provide crushing support for items that are larger and harder to grind, specifically spices and nuts. It’s also great to have a separate bowl for separating grinds so that the flavors of one grind won’t affect the other (ie. peppercorns with coffee). 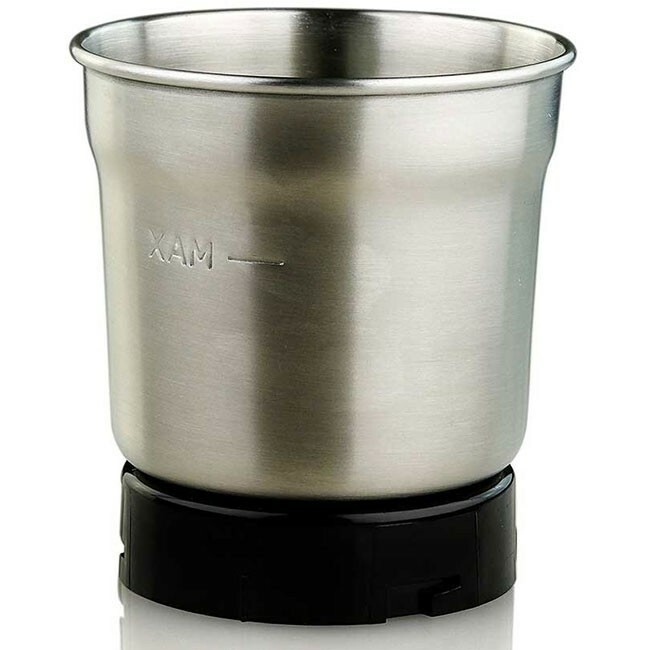 Its made of stainless steel and can hold up to 2.1 oz (60g) of aromatic and flavorful ground products. Do NOT attempt to exceed its capacity. 1. Add roughly 1/4 cup (about 20 grams) of dry, uncooked rice to the hopper (grinding bowl). 2. Run the grinder until the rice becomes a fine powder. 3. Dispose the rice into a waste bin. 4. Unplug the grinder and wipe the inside with a damp towel. Be extremely careful, as the blades are sharp.